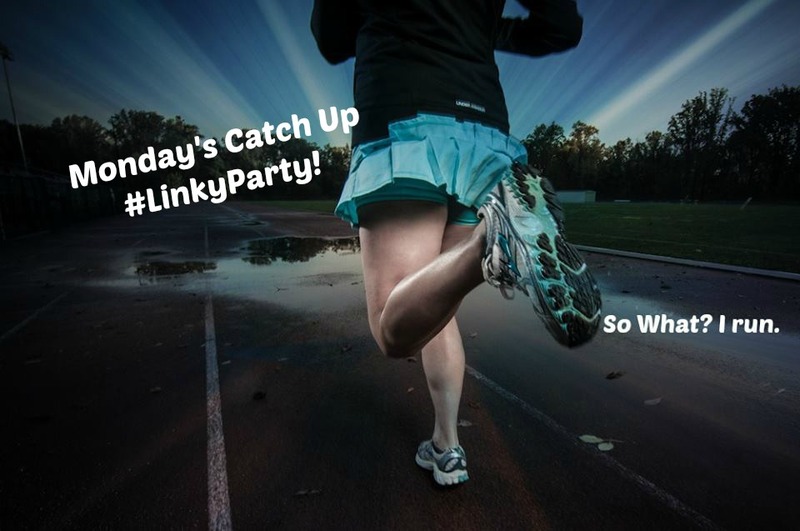 Monday’s Catch Up #LinkyParty (3/3/14) | So What? I run. A friend of mine who writes for Fit Foodie Runs introduced me to the concept of a LinkyParty. She has been blogging for years and is my go to person when it comes to figuring out the in’s and out’s of blogging. Over the past few months, I have followed and read some pretty amazing blogs and I do try to share them from time to time…also tried to “re-blog” once, but I don’t know if that worked the way I thought it would. In talking with Fit Foodie Runs, I think perhaps a #LinkyParty is the way to go so share some of my favorite posts that I read this week and a great way to share YOUR posts with others. Here are a few of my favorite blog entries from this week. Link back to the linky within your posts. Visit at least two other links and leave a comment. I would love if you mention you found the post through the Monday’s Catch Up #LinkyParty but that isn’t required. Share the link-up in some way to help it grow. You can share it through whichever social media platform you choose. The more people visit the linky, the more traffic it will generate for all of you! This entry was posted in Running and tagged fitness, recipes, Running, Running by SoWhatIRun. Bookmark the permalink. Thanks for the love Sandy! You rock!! Thank you for the shout out, Lady!